You’ve got options for how you’ll replace one or more missing teeth, but which is the best? 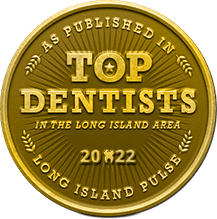 Anyone who’s paying attention knows Long Island dental implants do the job better than anything else currently available. 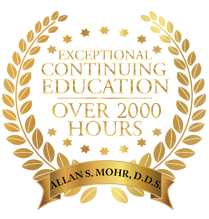 With implant dentistry, Dr. Mohr offers a comprehensive solution to tooth loss that helps you smile, eat, and speak with total confidence once again. 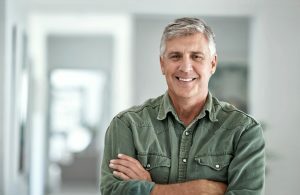 We’ve got the five things you need to know when choosing dental implants — and why it’ll be the best decision you’ve ever made — below! When you have lost a tooth, you’re not just missing the visible portion. You’ve lost its supportive root, too. Dental implants rebuild your missing tooth structure from the root to the crown, and they are the only replacement option that does so. The result is a set of natural looking teeth that you can brush and floss just like you’re used to. Thanks to the unsurpassed stability provided by dental implants, you can feel free to eat what you like, when you like, as often as you like! Unstable dentures and fixed bridges can make it difficult to eat foods like corn on the cob or fresh apples — but everything is possible with implant dentistry. So go ahead, take a bite out of life! Dental implants have a very high success rate — as much as 98% — in eligible candidates. Not everyone is able to undergo the dental implant procedure, as patients should be in adequate oral and overall health to ensure their jawbone is able to heal properly following the implantation. Smoking and tobacco use also affect the body’s ability to heal properly. But if you are a candidate, you can look forward to benefitting from a wonderfully successful procedure! Something miraculous happens when you get dental implants. The titanium posts that replace the roots actually grow together with the jaw bone, which promotes a fuller, more youthful facial structure as you age. People who are dealing with tooth loss will eventually develop the sunken look we associate with old age. It happens as the body senses nutrients are not needed in the jawbone and sends them elsewhere — but dental implants encourage blood flow and keep your mouth healthy and strong for the long haul. If you still have natural teeth remaining in the gum line, dental implants can help keep them healthy and intact for years to come. When the jawbone stays strong, the remaining teeth continue to thrive with a stable foundation. Fixed bridges also require the modification of the two teeth surrounding the gap — but dental implants replace missing teeth without affecting any your other pearly whites. Don’t delay seeking tooth replacement. If you are a candidate for dental implants, it’ll be the best decision you’ve ever made! 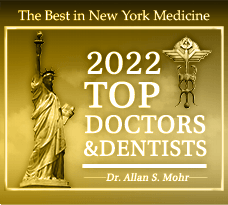 Dr. Allan S. Mohr provides dental implant placement and restoration at ASM Smile Creations. 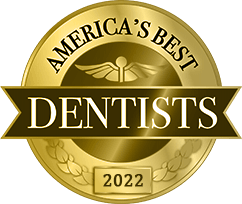 Contact us to schedule an appointment to discuss implant dentistry today. by: allanmohr at May 18, 2017 .